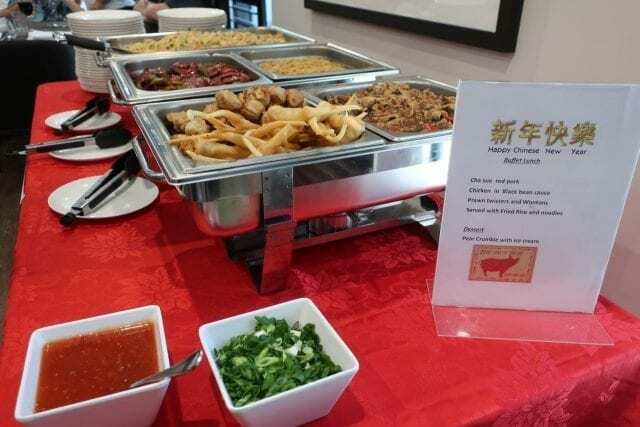 During the week, clients enjoyed Chinese themed activities to celebrate Chinese New Year. Colourful paper lanterns, made by the clients, decorated the dining room on the day. 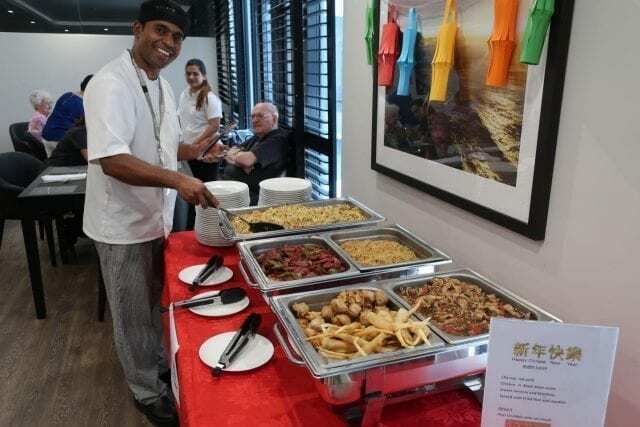 The aromas of Chinese food filled the corridors of Oatlands as everyone gathered for lunch. Phoebe and Phyllis shared stories of their own Chinese New Year celebrations and traditions. ‘Dancing dragons would come and perform at each and every house on the day,’ said Phoebe. ‘And then you would have fire crackers and donate money to the dancers in a red envelope,’ said Phyllis. ‘Except I never knew what they do with the money!’ Phoebe joked. 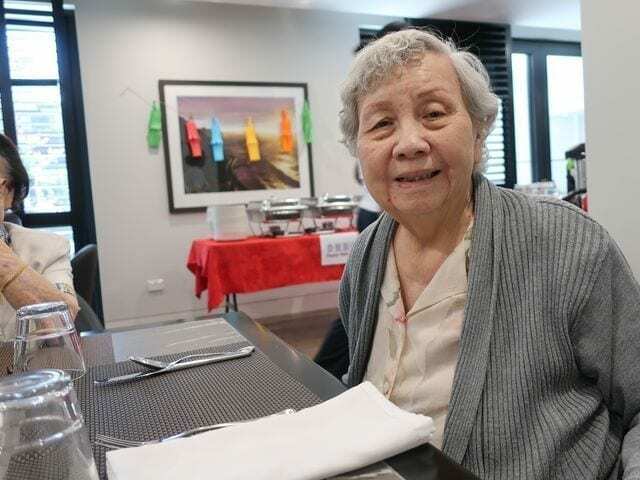 Phoebe was born in China and moved to Papua New Guinea when she was 5 years old, where she then spent 40 years in the Chinese community of PNG. ‘Chinatown was right across from all of our houses,’ she said. Phyllis, also Chinese, was born in Papua New Guinea and met Phoebe when they became sisters-in-law. ‘We all had shops out the front that the dancing dragons would also go to,’ said Phyllis. 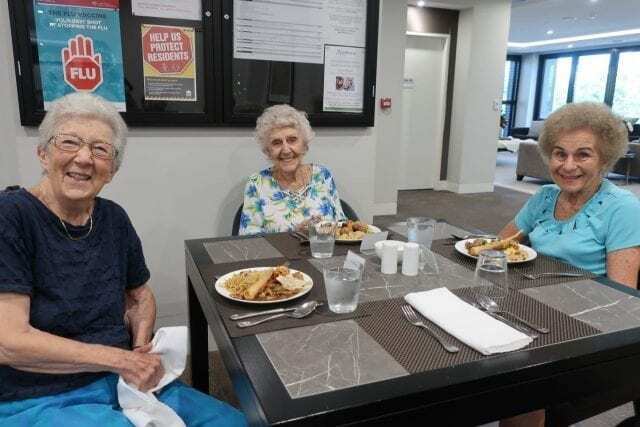 They now reside at Arcare Oatlands, where they both shared their wisdom from their Chinese culture during lunch. ‘The very, very best Chinese food you will ever have is sweet and sour duck!’ said Phyllis. ‘I would always cook a big feast for my family to share after the dragon dancing,’ said Phoebe. For some clients such as John, this was the first time they were celebrating Chinese New Year. ‘This is my first time celebrating, but I always love eating Chinese food,’ said John. Lunch was a smorgasbord of prawn twists, dim sims and wantons for entrée; cha sue red pork and chicken in black bean sauce for mains with both fried rice and noodles. Vik ‘sadly’ told her that the ducks were still sleeping when he went to the farm. Phyllis and Phoebe were very proud to share their culture with everyone at Oatlands. More so, they loved looking back at the celebrations and parties they’ve shared over the years.